It is Not A Place of Residence. 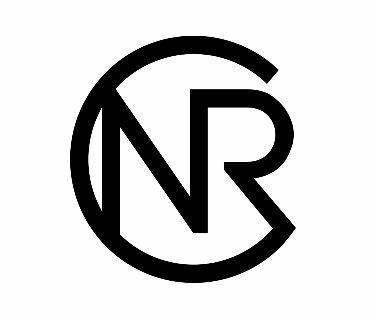 When I first started my blog 6 years ago it was called the Musings of NRC and I would muse on a variety of topics and I haven’t really done a ‘musings’ post in a while. Lately I’ve felt like sharing a little more with you all and with us being in a similar age range we currently have fairly similar life paths so it makes sense. One topic of conversation that has come up a lot lately with friends, with family and my mentors has been letting go. I’ll explain, I decided 2015 was the year I would let things go. I am striving and hope to always strive to be a better. A better friend, being, woman, lover, sister, daughter, and most importantly designer ha! In life we all at some point deal with disappointment, rejection, hurts and hurdles and its up to you to learn from it and move on. I once heard a talk where a rather wise man (Hi Rev Tobi) said ‘you can’t be bitter if you want to be better’ and it always stuck with me. You can’t allow another persons behaviour to modify your life, you are in control of your journey and if you are looking back at the past you aren’t steering your future and you may just ending up crashing. That person is moving on and it’s only you left being stagnant. You have to choose to let it go even if you haven’t had an apology or the person won’t change. If people mess up it’s up to you to learn and move on, wether they stay in your life is up to you after all we all mess up at times. Forgiving people doesn’t mean you condone their behaviour it means you want to be free from bitterness and anger and all that nasty stuff. Accepting people had also been a steep learning curve I can be incredibly type A I expect or rather expected everyone else to be like me and struggled with and a part of me always will to accept people doing things that simply have no rationale atleast to me. I have been a lot more accepting and going with the flow, not in a way that compromises me and who I am but in a way that is more inclusive and leads to enjoying life more. I have always been ‘happy’ but now the joy and happiness I feel is the kind of happy you feel in your soul (woah hello hippy-dippy Ngoni) even when things aren’t how they should be or something bad happens. I didn’t mean to get preachy but hey my Mother is a Reverend so I guess it’s in there I can’t help it ha! friendship etc holla in the comments of via email. Have an awesome week peeps. I love this Ngoni. It’s something I need to do!!! !